Running is on the rise in Bratislava and it feels like everyone is doing it. It is a lifestyle choice. 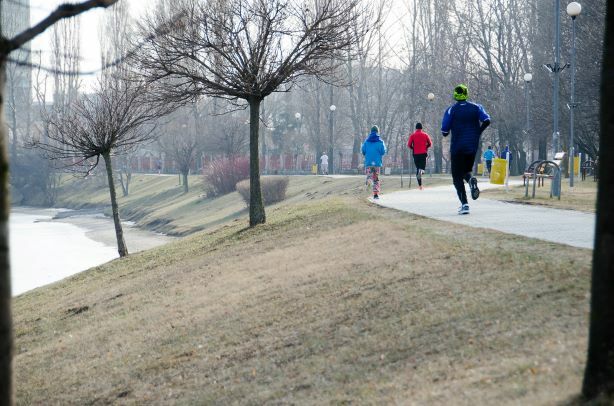 Now, we are no experts on running but we’ve compiled some useful information on the best running routes in Bratislava. Ready, steady, read! Železná studnička offers a marked half-marathon circuit. Thanks to the distance markers, you can choose to run shorter tracks as well. The whole circuit is 21,1 km on asphalt surface. You can also use other trails through the forest. The track is suitable for both experienced runners as well as beginners. At the starting line, you will find a sign with tips of recommended warm-up exercises. Approximately 2,2 km of this trail is lit at night. The best time to run here, especially during the weekends, is early in the morning since later it gets too crowded. The advantage with this location is that you can park your car nearby, the different terrain types and the ability to run in the shade during the summer months. The disadvantage is that it gets quite crowded near the children’s playgrounds. 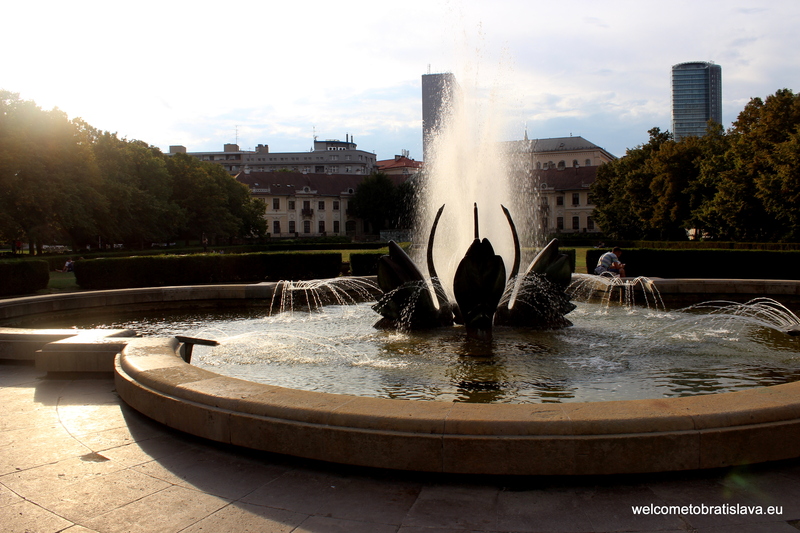 Horský park is an oasis in the city centre. 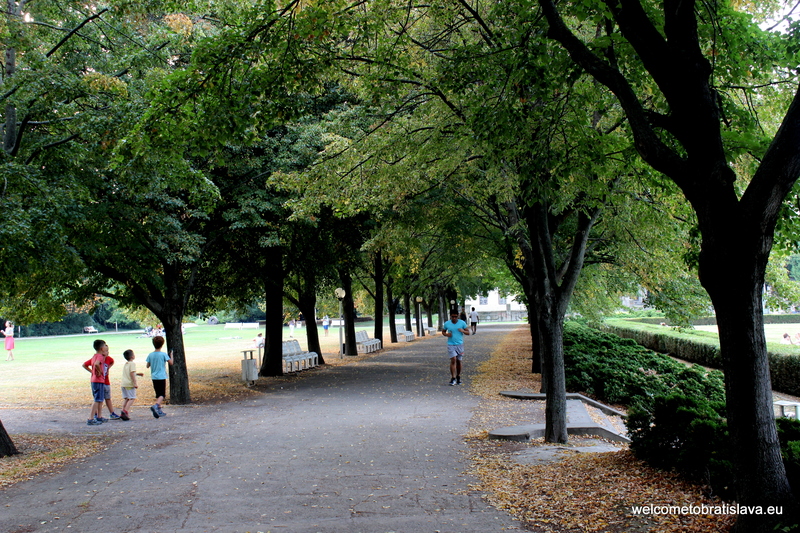 It is a beautiful forest park full of trees and shade, especially appreciated by runners during the summer months. 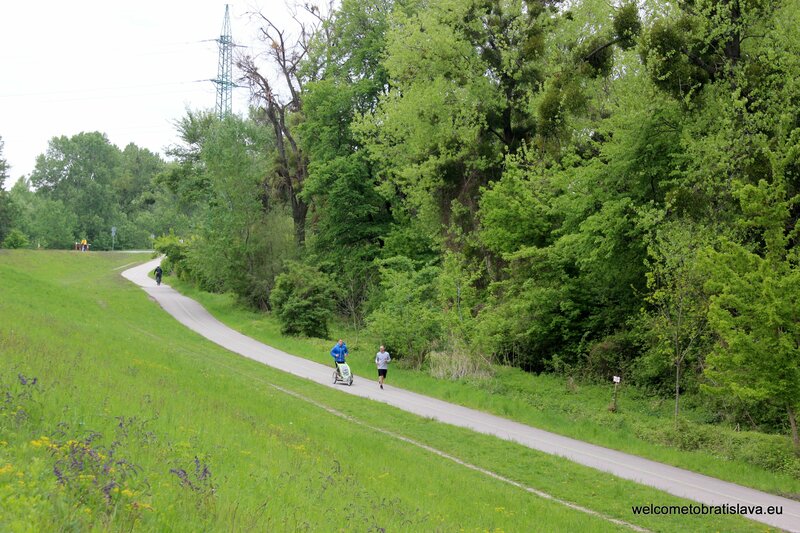 Its big advantage is the serenity it offers compared to other running tracks situated near busy roads. It is known for its forest trails, fresh air and natural surface. This area is more suitable for intermediate runners, as the beginners can be challenged by the larger inclines. It offers a great option to improve your running form – the super long steps often used for running upwards! The disadvantage is the mosquitos in summer, so do not forget to take bug repellent. Also, you have to keep track of the distance you cover since there are no marked trails or circuits. 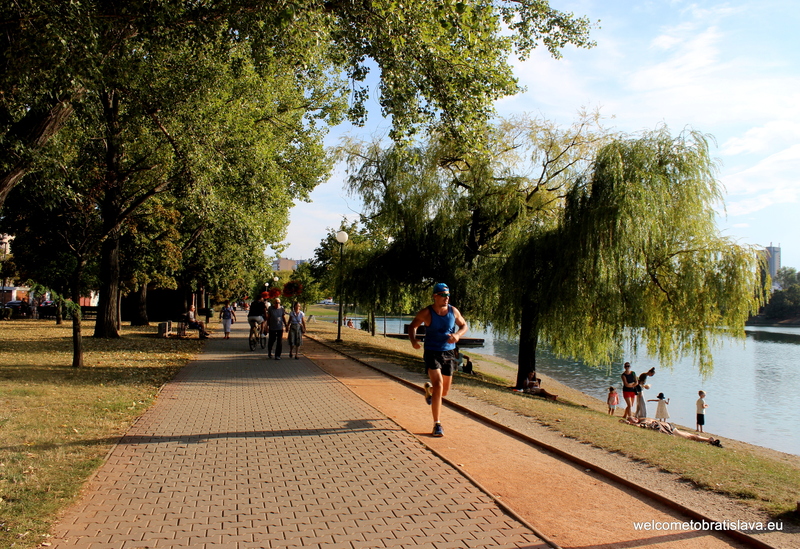 The Petržalka dam (called also the Danube dam) is a suitable place for professional as well as intermediate runners. You can reach it from the Austrian Berg or at the Harbour Bridge (Prístavný most) and thus run further distances on the asphalt surface, through the whole Petržalka municipality up to the Gabčíkovo water dam. The area is inundated with sports enthusiasts during summer. 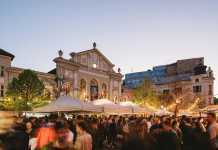 The biggest advantage is the easy parking, many refreshment options along the way, the possibility to choose the terrain (an asphalt road or a natural one when running next to the road or next to the river arm). The disadvantage is that since the location is super popular, it is full of cyclists and roller skaters that you have to avoid. Also, there is no shade when running in the summer. 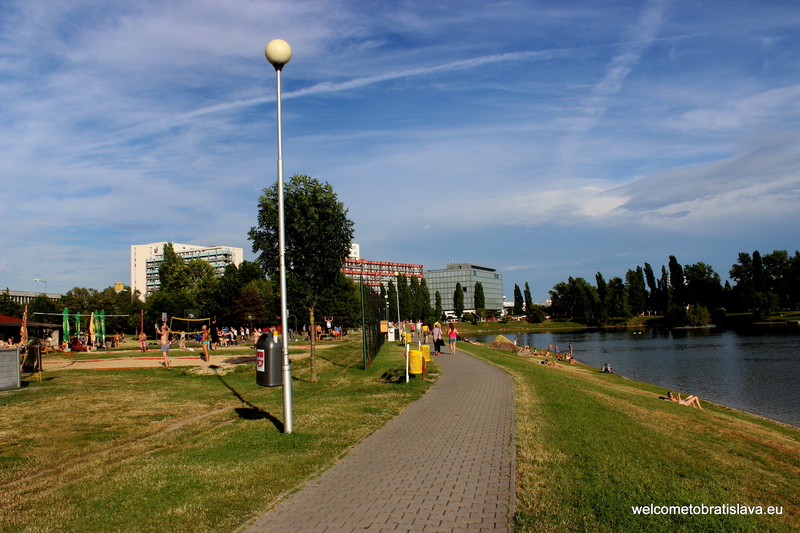 This lake is situated right in the centre of the municipality but thankfully, you do not need to worry about cars or cross busy roads while running. One loop is approximately 1 kilometre, which is convenient for keeping track of your run lengths. It is perfect for people living close by who enjoy running before or after work. It is mostly for beginners or occasional runners. The advantage is the easy accessibility and great clay surface. On the flipside, the round circuit can become a bit monotonous when running longer distances but it can be used for alternating between a slower and quicker pace. 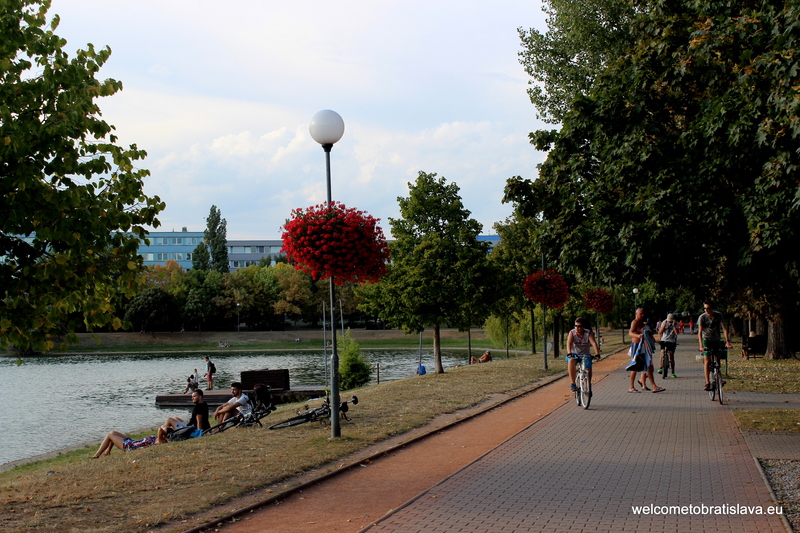 The embankment is becoming more and more popular thanks to the proximity of the shopping centre and many new projects that attract cyclists and runners. It is one of the few trails in the city centre and offers straight terrain with no obstacles. The disadvantages are the asphalt surface, quite a few mosquitos in the evenings and many pedestrians and tourists to avoid. It is more suitable for beginners and occasional runners. This is a beautiful trail in the Little Carpathians with a wavy terrain and a steeper slope at its beginning and end. It starts at the end of the municipality Dúbravka, goes through Strmé Sady, continues around Devínska Kobyla and ends up back in Strmé Sady. It has around 7 km, a forest trail with no distance markings and an elevation gain of 361 metres and is thus of medium difficulty. The exact details of the recommended trail: Start at N48°11.062 E17°00.870 and after 130 metres turn to the left into the forest. At the end of the fourth kilometre, turn right (there are two turns, one after another – take the second one). After another 40 metres a road connects from the left side and after another 20 metres the road splits – run to the left. At 6,31 km turn right, the road splits right after, so continue to the left. It takes around 40 minutes to finish. Mariánka is a village in the Malacky district in the foothills of the Little Carpathians and is known mostly as a pilgrimage spot. 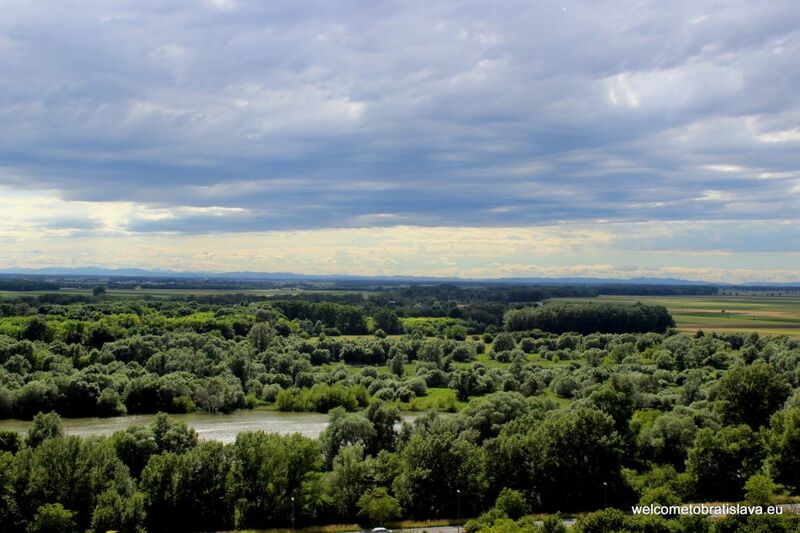 However, it is also surrounded by beautiful forests and since it is not that far from Bratislava, serious running enthusiasts should be aware of it. 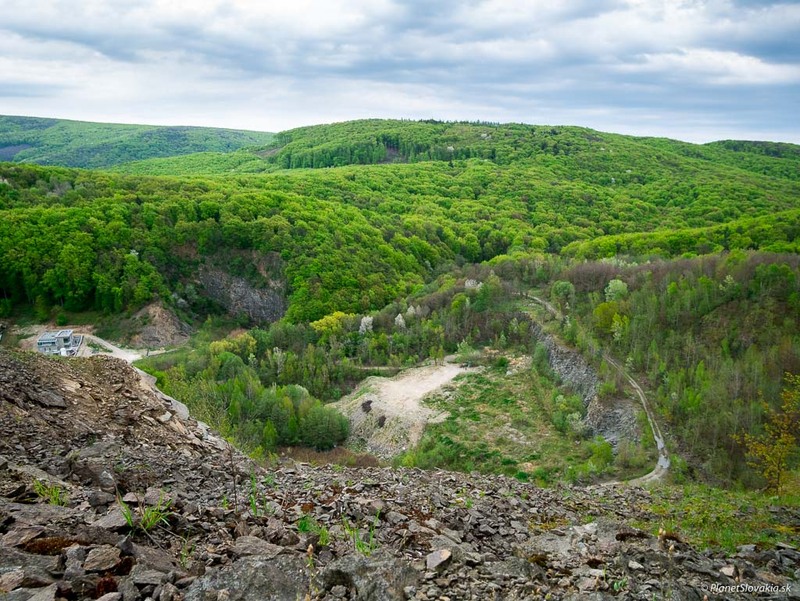 The trail is unmarked, is 9,6 km long, offers a combination of asphalt and forest terrain and has an elevation gain of 263 m. It is of medium difficulty. 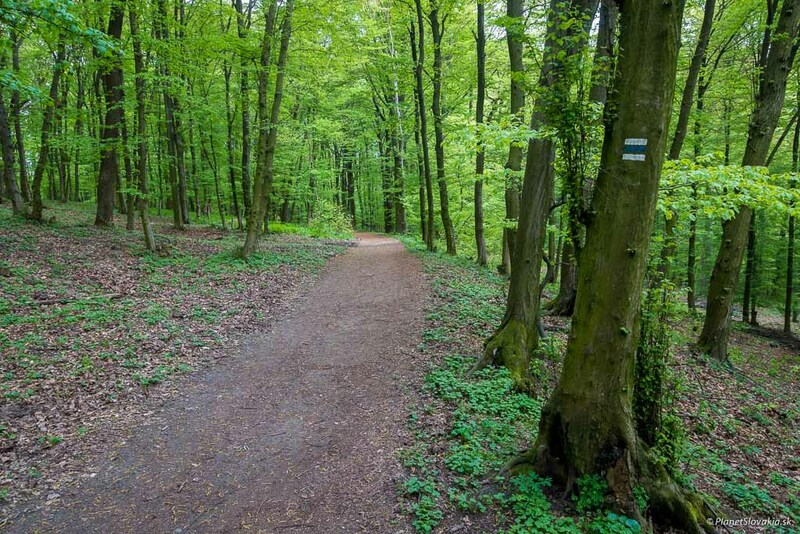 The trail starts at the football pitch in Mariánka, continues alongside the Mariánka stream, goes around Vydrica and ends back at the football pitch again. The exact details of the recommended trail: Start at the football pitch. Run through the Športová street right into the forest and continue on the road towards Mariánka spring. Then run alongside it until the first left turn. Turn there and return by the forest trail back to the football pitch. 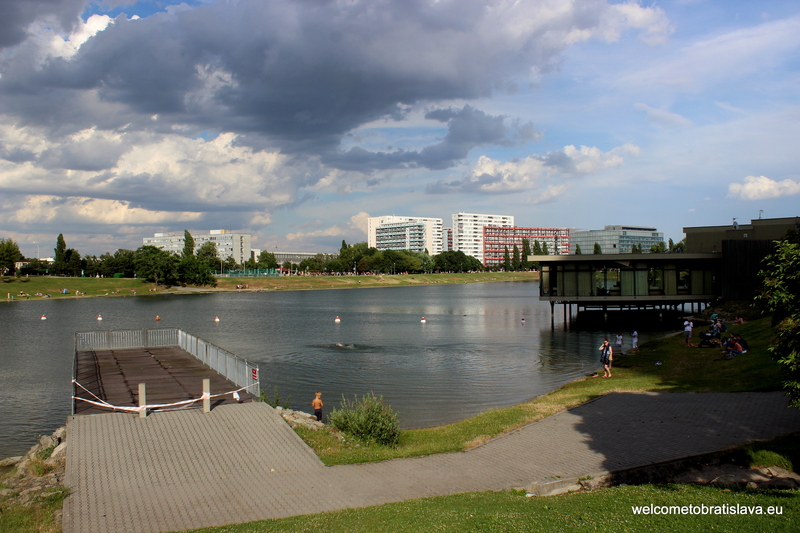 The Kuchajda lake is very popular for sporting and recreational activities and is suitable for runners all year long. During winter, you will find mostly experienced runners though. The circuit around the lake is approximately 1,5 kilometre and is therefore easy to measure. The trail is tiled and somewhat narrow. The disadvantage is that there is no shade and the track can be full of pedestrians to avoid. Bikes are forbidden in the area though. Medicka garden is not an ideal spot for runners but one of the few located in the city centre. The surface is mostly gravel. It opens at 10 am and closes depending on the season at dusk. Total distance of the circuit is 550 m.
Now, what is your favourite spot for running? Share your tips with other readers!